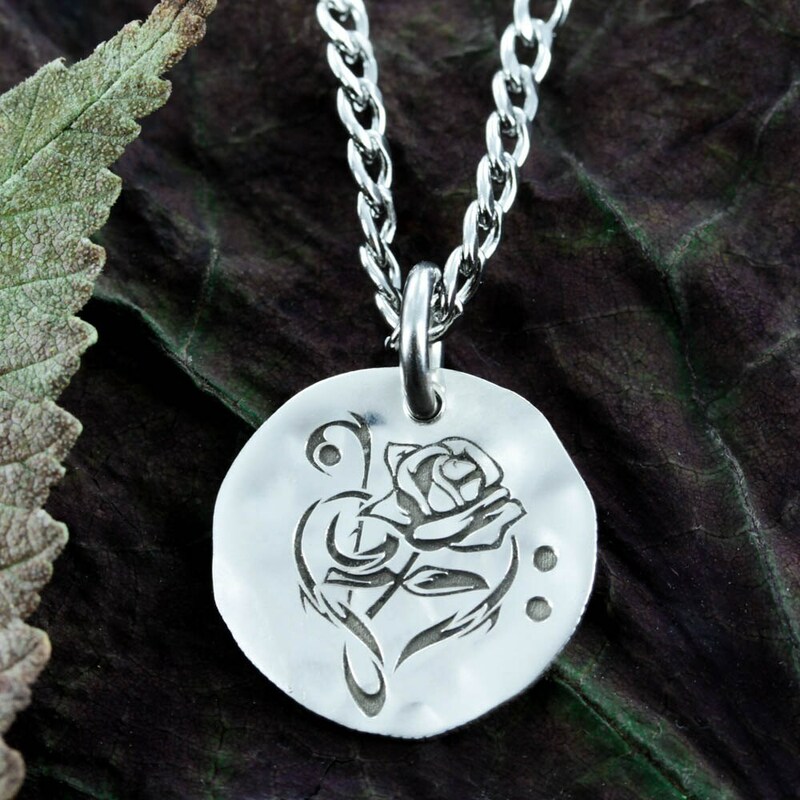 Rose and Music Note Silver Necklace, Small Silver Necklace, Hammered and Engraved Silver coin. This is a pretty design of a rose etched over a music notes that make a heart. We engrave the design deeply in the silver so it will last forever. We use a hammered silver dime or quarter.